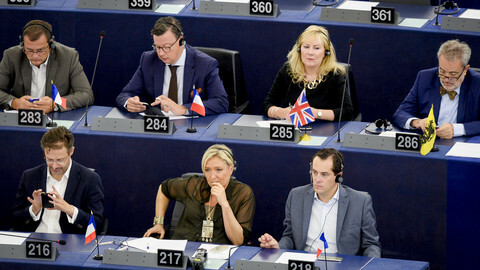 The European Parliament (EP) elections in May will show that EU officials in Brussels and French president Emmanuel Macron are out of touch with average Europeans, according to Polish prime minister Mateusz Morawiecki in French newspaper Le Figaro on Monday (11 February). Morawiecki also defended Poland's judicial purge and migrant boycott, as well as calling for brakes on EU integration. "The upcoming elections to the European Parliament will show that Europe is completely different to how people see it in Brussels," he said. "There will emerge, almost certainly, completely new forces which Brussels bureaucrats like to denigrate by calling them 'populist movements'. But for me, they're born out of democracy and they ought to be listened to," Morawiecki added. He was referring to antipathy toward the EU's economic and political elite, as in the 'yellow vest' movement in France or in Italy's new government, which, like Poland, is boosting welfare spending. "In my opinion, the neoliberal model ought to be questioned," he said, referring to the kind of unbridled capitalism which exacerbates the gulf between rich and poor. The EU mainstream is also out of touch on migrants, he added. 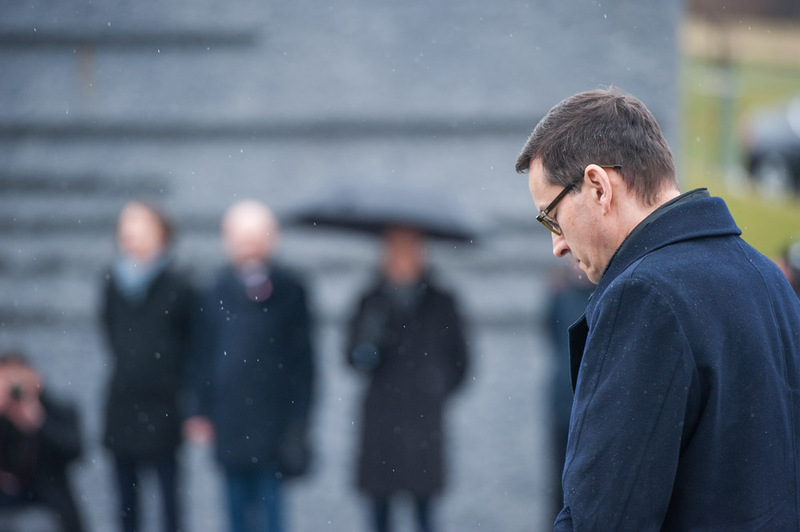 "All European opinion polls say the top issues for European societies are migration and terrorism ... We have to listen to people's concerns," Morawiecki said. 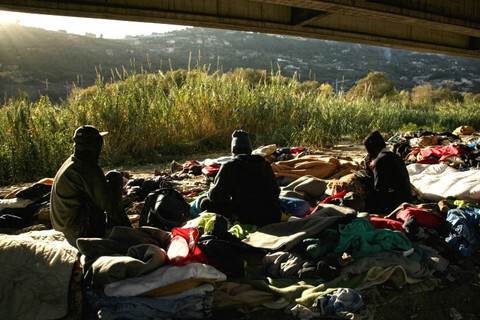 "Opening wide the gates of Europe is not the answer," he noted, referring to EU asylum policy. The kind of ever-closer integration espoused by EU officials and by France's Macron also lacked popular support, the Polish prime minister said. "I'm for a Europe of nation states, while Mr Macron wants a United States of Europe. This project ... won't get anywhere because people won't accept it," Morawiecki said. "EU values, which we all share, exist, but there is no such thing as a universal European identity," he said. He spoke to the French newspaper amid an ongoing clash between Brussels and Warsaw on rule of law and migrant-sharing. The EU has threatened sanctions against Poland after Morawiecki's ruling Law and Justice (PiS) party began firing judges and replacing them with political allies. It has also threatened to fine Poland over its boycott of EU migrant-sharing quotas. Morawiecki's talk of "new forces" comes amid talks between Poland and Italy on the formation of a new EP group after the May vote. Italy's deputy prime minister, Matteo Salvini, also wants to pull in far-right MEPs from Denmark, France, Germany, Hungary, the Netherlands, Sweden, and further afield. But even if the new EP group ends up being smaller than Salvini might wish for, Morawiecki predicted that like-minded MEPs from other groups would end up voting together in a force to be reckoned with. 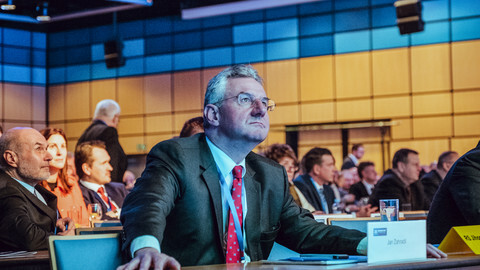 The Czech government was with the liberals, Hungary's ruling party was in the centre-right EPP group, and Slovak leaders were in the centre-left S&D one, but "we understand each other very well", the Polish prime minister noted. He defended Poland's judicial purge on grounds that the judges being fired were stooges of Poland's former communist regime. He compared it to what France did with Nazi collaborators from the World War Two Vichy-regime and what Germany did with judges from the former East Germany. He also complained that France and Germany did not understand the threat that Russia posed because they were "never occupied and plundered by the [Soviet Union's] Red Army". "Our region lives in the shadow of Moscow, which never stopped being aggressive," he said. Morawiecki's talk of a "Europe of nation states" was mild compared to Polish eurosceptic rhetoric at home, however. The EU was an "imaginary community from which we don't gain much", the Polish president, Andrzej Duda, said at a rally in Lezajsk, a town in south-eastern Poland, last October. Morawiecki told Le Figaro there was no question of a Polish EU exit "because we're one of the most pro-European countries on the continent - almost 87 percent [of Poles] support the EU". 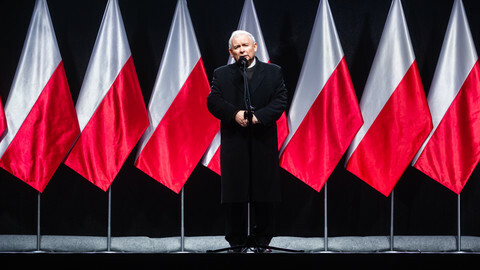 His talk on how the EU and Macron were out of touch with people came amid signs that PiS was increasingly out of sink with Polish voters, however. 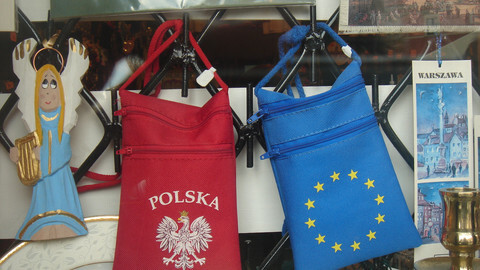 Pro-EU opposition parties in Poland were on track to win the EP vote with 42 percent compared to PiS on 37.5 percent, according to a January poll. PiS haemorrhaged support in Polish cities in local elections last year. A November poll also said EU Council chief and former Polish prime minister Donald Tusk enjoyed 47.7 percent of Polish people's "trust", beating Duda (45.8 percent) and Morawiecki himself (42 percent). 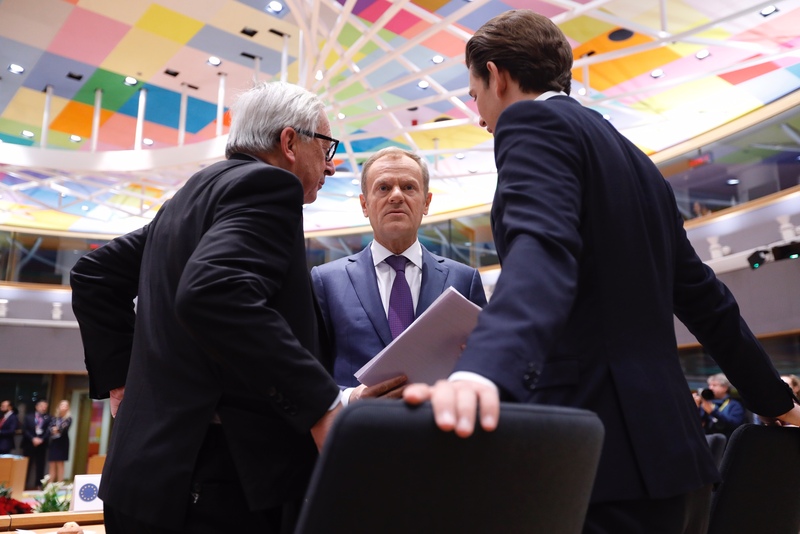 What does Poland want from the EU? Salvini and Kaczynski - the new 'axis' powers? Orthodox values, opposition to EU institutions, and friendship with Russia should form the backbone of a new Italian-Polish league, Italy's Matteo Salvini has said. We propose several changes to the EU, derived from the political philosophy behind the current Polish government, and what Poles expect from the EU - this could be seen as a manifesto Poland wants the next European Commission to tackle. 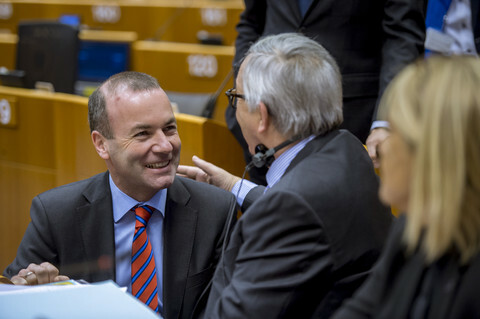 Populists and Eurosceptics are slowly realising that the goal of dismantling the EU is not only unrealistic, costly and unpopular - but also deprives them of valuable opportunities to accumulate political capital and exert influence.